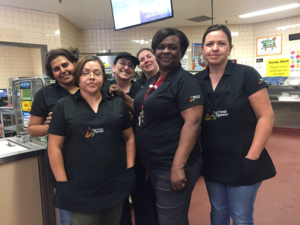 The cafeteria staff at Diamond Valley Middle School was selected as the Faculty Focus Friday employees for middle school. 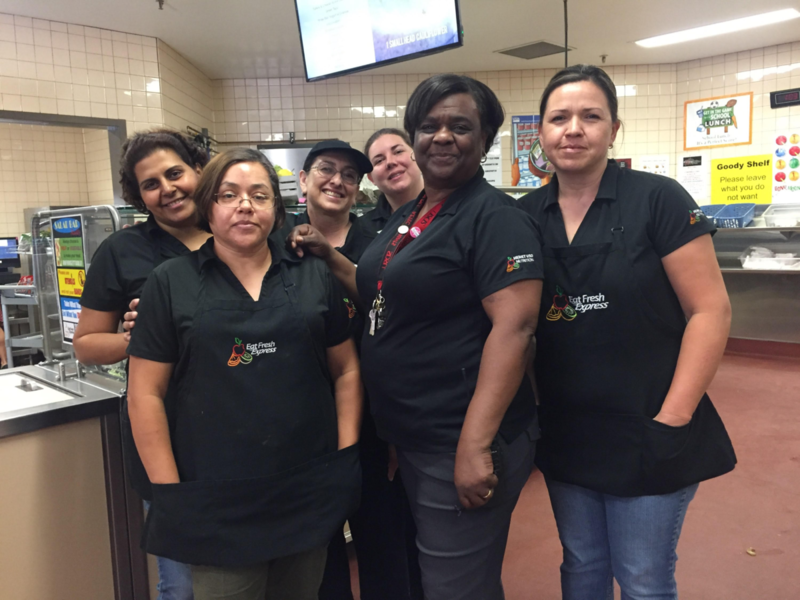 The members of this team create a positive school culture with the effervescent smiles, warm welcomes, and willingness to assist every student that passes through their lines. They consistently go above and beyond to make the students feel like their needs are important and understood. The team relentlessly hustles to maintain an attractive, clean environment, and continually refill food options for the children to select from. They truly understand the concept of being “Premier,” and embody the district's ideals when interacting with all stakeholders. Congratulations to Adriane McCoy-Wilson, Kathleen Banta, Maria Chavez, Doaa Hanna, Anita Olson, and Isabel Bolanos!